Genesis 35:9-21 (Part of the Advent 2014: Journey to Bethlehem series). Preached by Pastor Jon Truax on November 30, 2014 (Sunday Morning). What The Angels Knew...And What They Didn't! 1 Peter 1:10-12 (Part of the 2012 Advent Christmas In The Carols series). Preached by Pastor Jon Truax on December 23, 2012 (Sunday Morning). Hebrews 1:1-6 (Part of the 2012 Advent Christmas In The Carols series). Preached by Pastor Jon Truax on December 16, 2012 (Sunday Morning). Isaiah 9:1-7 (Part of the 2012 Advent Christmas In The Carols series). Preached by Pastor Jon Truax on December 9, 2012 (Sunday Morning). What Becomes of the Tree? Luke 2:21-40 (Part of the Science Hill series). 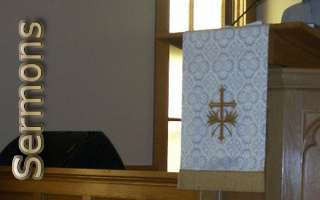 Preached by Pastor Jon Truax on December 26, 2010 (Sunday Morning).